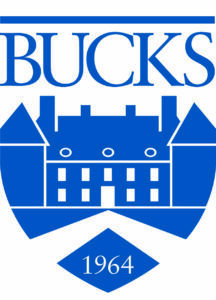 After successful experiences offering the Excellence in Nonprofit Management Series * in the Lehigh Valley, The Nonprofit Center is now expanding this offering to Bucks County, with a partnership with Bucks County Community College in Newtown, PA, launched in fall 2018. Residents of Bucks County and the surrounding areas, such as Northeast Philadelphia have additional access to 10 full-day classes that provide knowledge and information essential to nonprofit staff and board members. The Excellence in Nonprofit Management Series, a non-degreed professional development program, will launch in October 2018 at the Newtown campus on Swamp Road. The Nonprofit Center provides more than 70 educational programs in the Greater Philadelphia area every year. Classes will be taught by the same professional instructors who teach in Philadelphia and the Lehigh Valley, using the identical curriculum. Topics include the fundamentals of nonprofit management, effective board governance, marketing, communications skills, program evaluation, financial management, fundraising, human resources, strategic planning, and leadership ability. Students will earn 6.0 Continuing Education Units, the recognized measure used to provide evidence of completion of continuing education requirements mandated by various professional bodies and licensing boards, as well as evidence of completion of training pertinent to particular occupations. For more information, please contact BCCC: [email protected]/ 215-497-8729. **formerly known as a certificate, the name has changed but the experience, quality and depth of learning has not.